Briefer than Literal Statement: Not visiting the BM. Sunday I set out to go to the British Museum, starting at Ladbroke Grove under the Westway and down Portobello Rd (music track in my head jumping from Leo Sayer to Angela Lansbury) to trawl the bookshops and soak up some atmosphere. 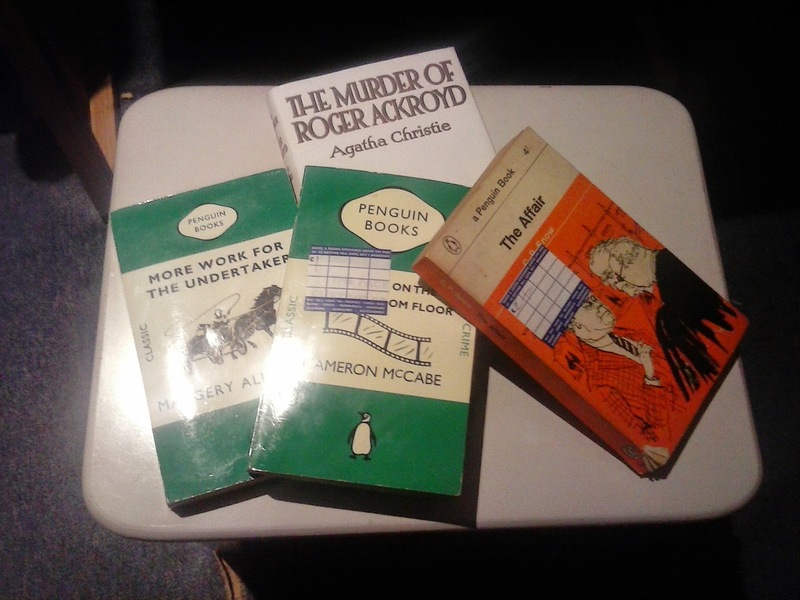 On the book front I did well: The Murder of Roger Ackroyd in hardback, two other murder mysteries in paperback and a C P Snow. The last three in the Book and Comic Exchange, which as well as being cheap as chips manages to make buying second hand books feel like a counter cultural experience. Unfortunately once I'd got to Notting Hill I discovered that because the Central Line was out the buses were too full to take more passengers. So I abandoned the BM without regret - the weather was a bit too nice for it anyway - and turned left into Bayswater Rd instead. 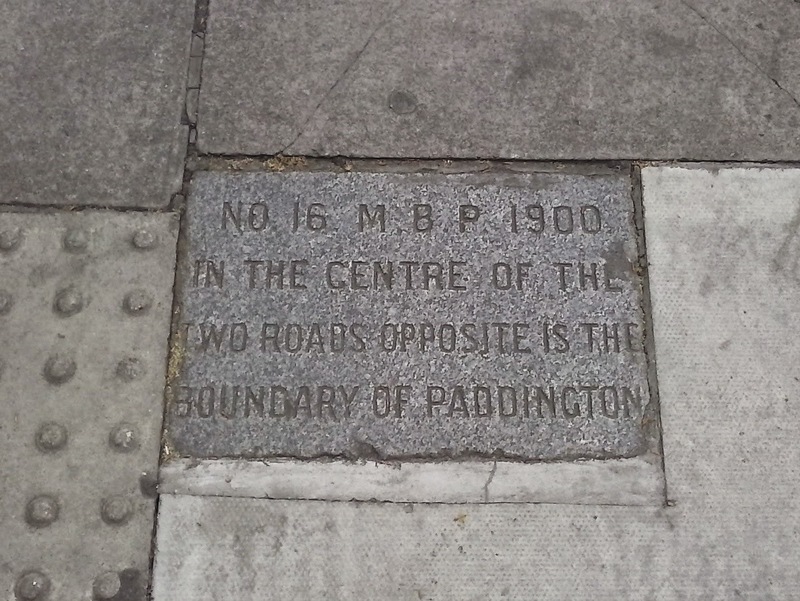 Another boundary marker for the old Metropolitan Borough of Paddington (see my entry dated 18th March for the first I found in passing). It was right by the entrance to Ossington Road, so not far at all from the other marker, which is not because the total area covered is small, but because the borough is an irregular shape. It would be interesting to walk the full boundary - and perhaps on another day I will, but in the meantime there's a boundary map from 1885 here which gives some idea of what part of London I'm actually talking about. Bayswater Road - where I continued my walk - is titled the Uxbridge Road on the 1885 map, and in fact as it passes west through Ealing, over the Brent river and through Southall, still is. On a Sunday the Bayswater Road Artists exhibit along Bayswater Rd, hanging their work on the railings of Kensington Gardens. I hadn't been up to see since I was a child and I had a confused memory of the tourist trade being heavily catered for: watercolours of London landmarks and pencil caricatures, but if it was like that then it isn't now. It's a proper little exhibition. I got the impression it had been a bit of a slow day though, with the Central Line not running, and I eventually picked up a bus near Marble Arch and made my way home, reading Roger Ackroyd on the way.